The kitchen is located in middle of the centre, between both the preschool room and the toddler room so that the children and staff can communicate and become involved in with baking and cooking processes. The Preschool and Toddler rooms also share a bathroom, in which the children are encouraged in their self help skills. These rooms help the children to develop a lot of skills based on their interest. Children learn best while they are able to play and focus on things that interest them. 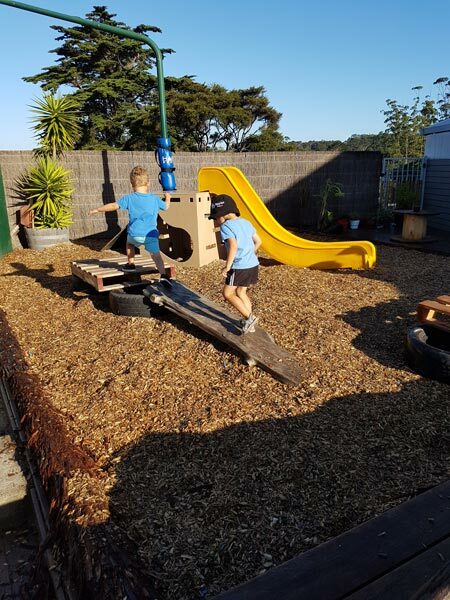 These room allow the children the opportunity to explore a number of different activities that will expand on their knowledge while providing them with challenges that will further their desire to learn. The infant room is made up of two rooms and a small kitchenette so that bottles can be made up throughout the day. One of the infant rooms is designed to accommodate non-walking infants and has an adjoining sleep room. The second infant room is designed for children as they learn to walk and the resources extend as the children develop and begin transitioning into the Toddler room.